This one quote sums up the importance of brand messaging in making your brand identity known to the target market. It’s a universal fact that customers go for the product which is well branded and well-communicated to its audience. Storytelling is a powerful technique to display your thoughts in the most creative way possible. Considering the fact, brands embraced the storytelling technique to send their brand message across. For ages, brands have been utilizing this method to make their products/services known to the masses. Brand messaging is not a random process; if done correctly, it can serve as a powerful tool to attract, engage and retain the target audience. You need to incorporate every single aspect into your brand message what makes you who you are. Here are the details that go into the brand message to portray a clear picture of your corporate standing. Merging all these blocks, you can construct a clear yet appealing and cohesive message that resonates with the target market and can instantly make your audience fall in love with your product/service. Unfortunately, so many brands still fail to make the most of their brand messaging technique, some fall prey to gimmicky tactics, while some doesn’t understand what should they add and what should they skip. Consequently, they end up committing lethal brand messaging mistakes, both major and minor, that in the long run cause great damage to their brand image. When brands work with more than one content creators, it gets a bit complicated to infuse the consistency factor to your strategy. When it comes to creating your brand message, no matter which type of content you are working on; web copy, print copy content, TVC content or social media bio, each piece of writing must be consistent and even-toned. 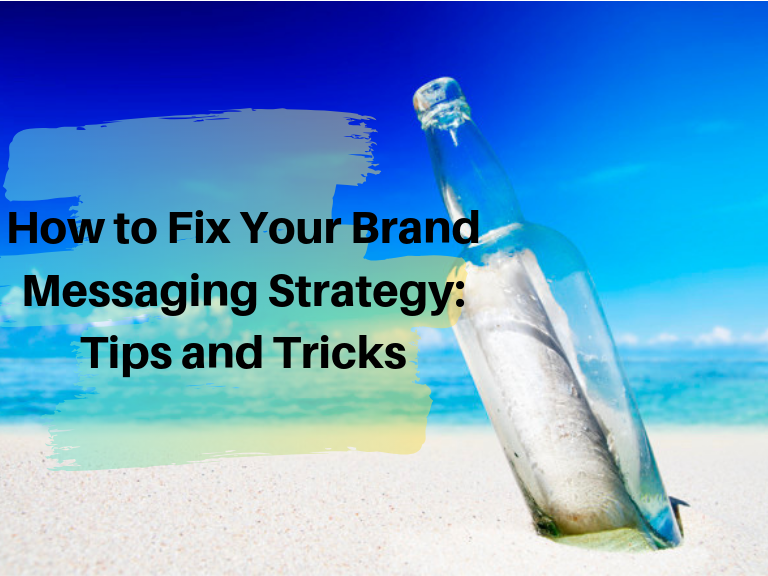 It is important to realize that if your brand message fails to communicate your brand stories then you need to restructure the architecture of your brand messaging. In order to send a consistent brand message that speaks your values and creates an impact, first you need to fix all the faults in the style and tone of your brand messaging. This article will walk you through all the signs that will help you identify what errors you need to work on that have been keeping you from creating a striking and audience-focused brand message. Brand messaging is more than just a few taglines and slogans; it includes a comprehensive set of messages which are thoughtfully crafted by keeping your brand’s vision and values in mind. Suppose you run a sportswear company, and you think it is enough to keep a few inspirational quotes for your promotional campaigns. Trust us; this strategy will not take you anywhere. You need to widen your horizons and concentrate on the bigger picture instead of just focusing on messages that reap only short-term benefits. A makeshift strategy will never help you reach the spot where only a few market leaders succeed to reach. Let’s take the example of Nike here, the brand has always presented itself as a brand with a purpose and not just another fitness wear franchise. The brand never fails to impress when it comes to the promotional campaigns and the plan of action. It always comes up with something compelling which audience can’t help connecting with. The brand has always strived to bring some positivity with their brand messages. Their recently launched “Equality” campaign took social media by storm. Like always, this time too they surprised everyone with a powerful message. The campaign served more than just a promotional tool; it brought a social message into consideration that not only got the audience hooked but also added value to the brand image at a large scale. Rethink your brand message by keeping Nike’s plan of action in mind. If your brand message fails to induce human emotions that means it is unable to connect on an emotional level. Remember, if you have nothing thought-provoking for your audience, why would they remember where your competitors are treating with great and meaningful content. If you want to establish a sense of connectivity, you have to focus on the bigger picture rather than working on a small scale. Articulate a comprehensive framework based on your core beliefs and values. Tell your audience why should they choose you over the competitor. For this, you need to generate enthralling content and then communicate it to your audience just the way a maestro storyteller does. Come up with an entrancing way to put your brand identity on the show, only a strategically crafted brand message can make it possible for you. Before you send your message across, first you need to conduct thorough research to understand the needs of your audience. Identify which type of people you are going to have a conversation with and improvise your message accordingly. First thing first, you need to steer clear of generic approach, and must not craft a single message for multiple sets of the audience, as they may have different intellects, as well as their needs and values, can also be poles apart. All these factors need to be taken into account when you are framing your message before it goes live. To determine the needs of your audience, you will have to create a ‘buyer persona’ first. For which, you can conduct surveys, however, it would be better if you hire professionals as they can utilize better and dedicated resources for bringing factual data which can be critical to your brand’s success. Once you have a solid idea of your audience’s needs, fear and aspiration, you will be able to tailor your message with the help of the accumulated points. Brand messaging architecture is a mouthful term and sounds a bit complicated to the ears. However, it’s a straightforward concept that if you understand correctly can bring extraordinary benefits to your brand strategy. To put it differently, it’s a framework that needs to be established before you set off your brand messaging journey. It allows your team to educate your audience about your brand by making sure that no hindrance and disturbance is distorting your message before it reaches to the target audience. All in all, at this step you make sure that the message you have created is precisely done and have valuable content that echoes perfectly with the audience. In order to get a grasp on these essential elements, all your creative team member needs to be on the same pages. For which they need to have excellent knowledge of each and every aspect that constitutes your brand messaging architecture. Once you have gotten a clear picture of all the components mentioned above, proceed further with visualization so that you are aware of the implementation strategy to be executed further. Not to mention, before doing all this your team should be familiar with the brand guidelines. Creating a striking brand message doesn’t only include pitch-perfect copy, but the way you communicate your message also equally matters. You need to set and define the tone in which your brand will be communicating with its audience. Does your voice have emotional anchors? Will your audience be able to connect with the tone of your message? Do you know what style, language and mood your audience prefer the most? If not, all your brand messaging efforts will go down the hill, without creating any impact. On a daily basis, we stumble upon dozens of brand messages, while only a few of them manage to stick to our memory. Why? Because only a few have the emotional hooks as they are created thoughtfully by keeping the audience’s preferences in mind. Brand voice incorporates much more than just a custom logo design, catchy slogans, and color schemes. With the increasing competition, the horizons have been expanded as the modern day branding demands considerable input from the brand managers. Thus, if you really want your customers to turn into brand advocates, you will have to come up with an earth-moving brand message executed using right tone. We couldn’t think of a better example than Apple. 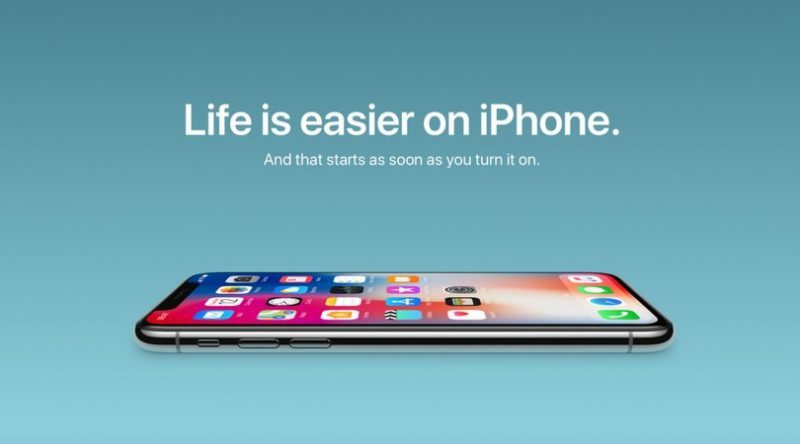 Despite being one of the most powerful brands, Apple sticks to the simple, clean and straightforward copy with a clear and confident voice. Whether you are scrolling through their social media, catching TV ad or visiting their website, you will observe the consistent voice and tone throughout all the platforms. You should not miss even a single chance to put your brand on a display. If you think that commercials and online advertisement are the only ways to create your brand awareness, then you have been under the wrong impression all this while. Other than that, you can use various other ways to connect with your audience. If you are a talented content writer, you can work magic with any piece of copy you are working on. Even a social media bio would be enough for you to create a precise yet impactful content that can grab audience attention at first glance. Other than that, you can make the most out of the CTA’s on your web content; in a nutshell, you should not let any opportunity slip through your hands. As mentioned above your CTAs, your Twitter/ Instagram and other social network’s bios even your product descriptions are the golden spots where you can play with the words and convey your brand message in the most effective way possible. These are the spots you could get maximum advantage of without putting extra effort. To conclude, a well-planned and finely executed framework allows your team to create and curate your brand messages in a homogenous way. Right tone, relevant colors, captivating copy, consistent design, and brand’s content style guide serve as the backbone elements in the long run. These will ensure that your message is being formulated correctly keeping your audience needs, values and preferences in mind. Your brand message should revolve around your brand strategy and each attempt of brand communication should bring exceptional results to your brand image.